I graduated in Physics at the University of Genoa in Italy. I then worked in Milan and London before joining the University of Nottingham, where I was awarded my PhD in Physics. 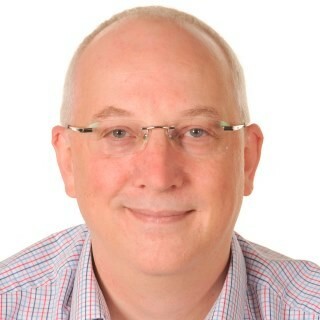 Following a series of multi-disciplinary research contracts and Fellowships (including a Wellcome Trust VIP Fellowship and a RCUK Academic Fellowship) held across the Sir Peter Mansfield Imaging Centre and the Nottingham Digestive Diseases Centre (NDDC) I am now Associate Professor in Gastrointestinal MRI in the NDDC. My research focuses on gastrointestinal physiology and pathology using magnetic resonance imaging (MRI) methods in combination with other physiological and behavioural techniques. My personal expertise is in imaging the human gastrointestinal (GI) tract using MRI. I have a particular interest in in-body imaging of food materials and in the GI response to factors in foods. I work within a team that has developed a unique cross-disciplinary collaboration between gastroenterologists, surgeons, physiologists, MRI physicists, food scientists and industrial collaborators from the food and pharmaceutical industries in the UK and abroad. I have published 61 research papers and 11 book chapters, I have been principal investigator and co-investigator on academic and commercial research grants worth £5.2 million, and I have been regular peer-reviewer for 2 MRI and 2 gastroenterology international journals and for the ISMRM international scientific meeting. I serve on the Nottingham Digestive Disease Biomedical Research Unit Strategy Board and on the University’s Human Research Scanners Management Committee. I was awarded the RinR/Wellcome/RCUK Communicator’s Award for my science outreach work with secondary school pupils.